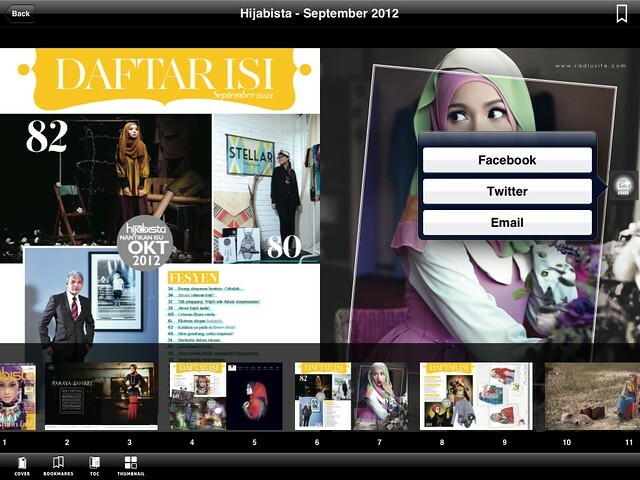 I was introduced to this app by Alwani Fickry, my friend from KarangKraf Media Group. Once I read her raving about it I was pretty sure I just had to try it out myself, plus I don't have anything to lose right? Reading on the go has always been my style anyways, and without the hassle of carrying all my favorite magazines in tow; well that's just a huge plus point for me! 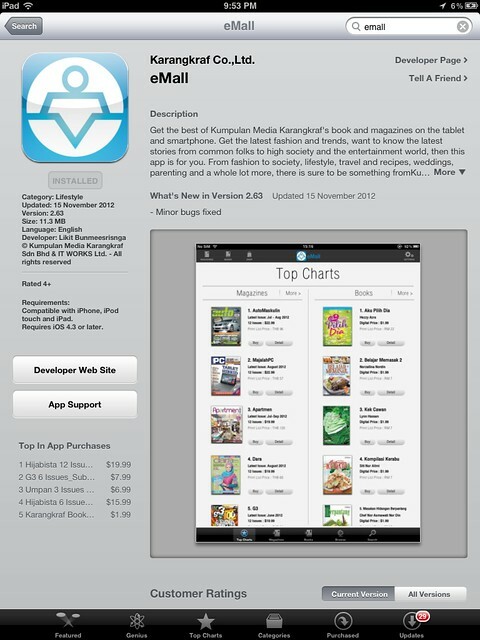 Search "eMall", download & installed. Super easy! The intro page once I clicked on the eMall app. 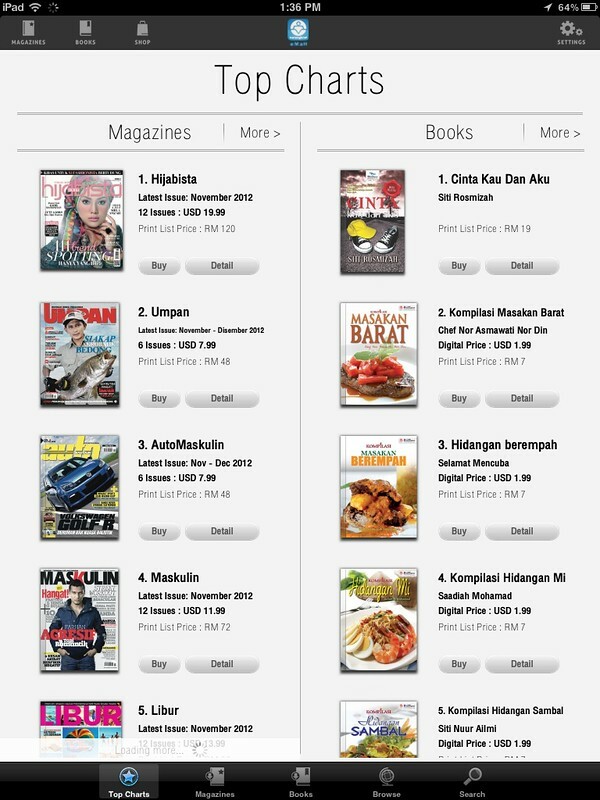 List of available magazines & books that are available for download & subscription! Anyways, I'm glad that Wani gave me a few mags sample, my favorite ones! 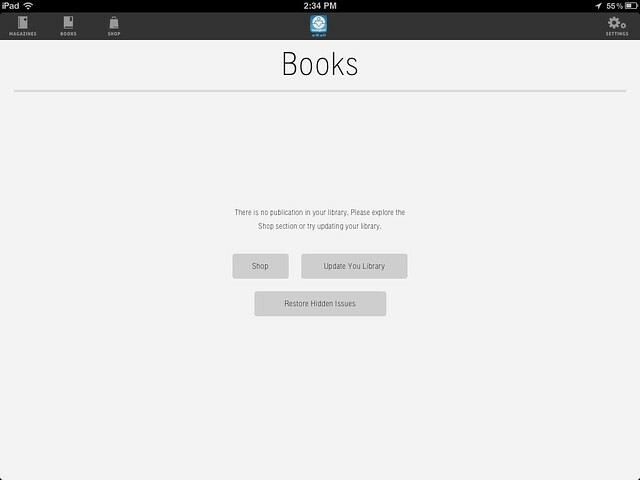 This is the library section, clicked from the Magazine icon on top left. 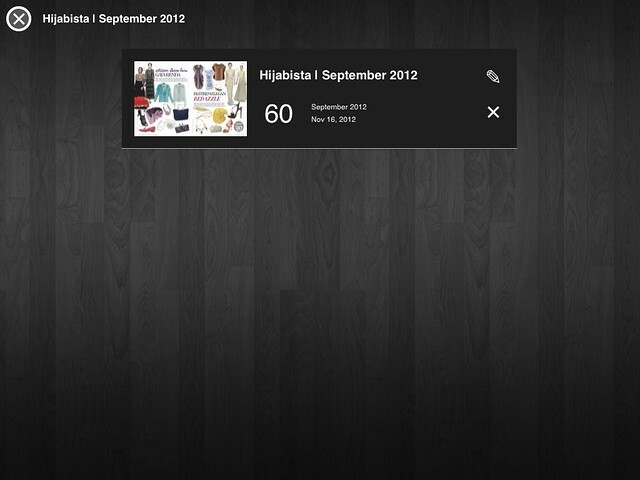 This is where all your downloaded subscribed magazine will be. One of the best part is that you can share your favorite page to social media, like I tweeted here! 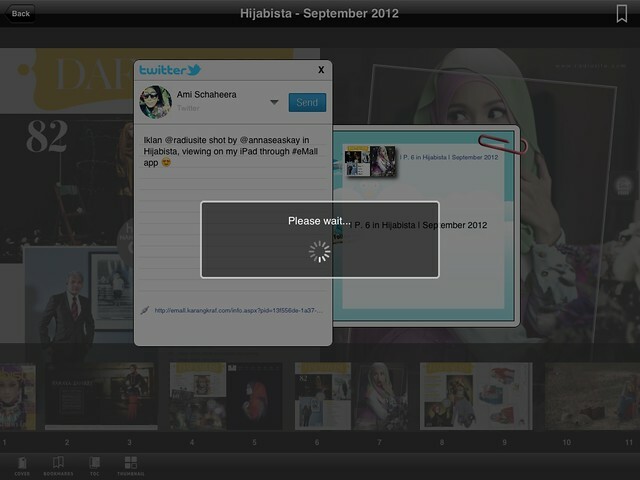 This is the preview window, love that I can see the glimpse of the content before purchasing. 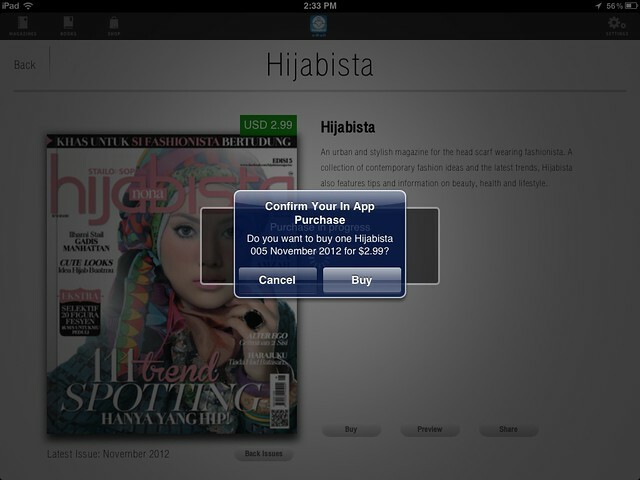 Ofcourse that makes me wanna get the mag even more haha! 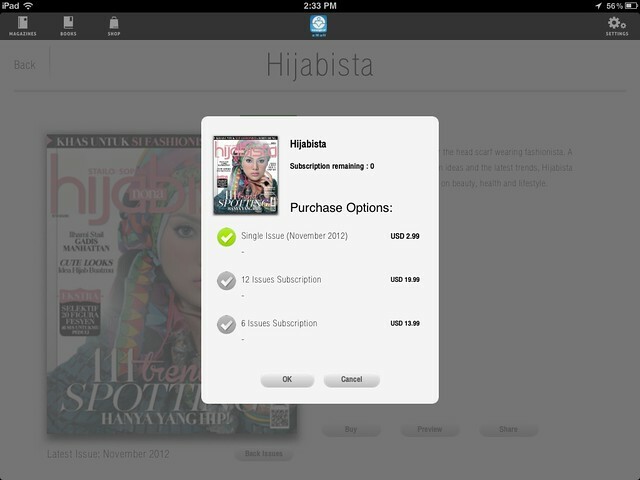 When you click Buy there's the option for Single Issue, 6 Issues or a whole year of subscription! So I tested this on my iPad and should be the same on iPhone as well. 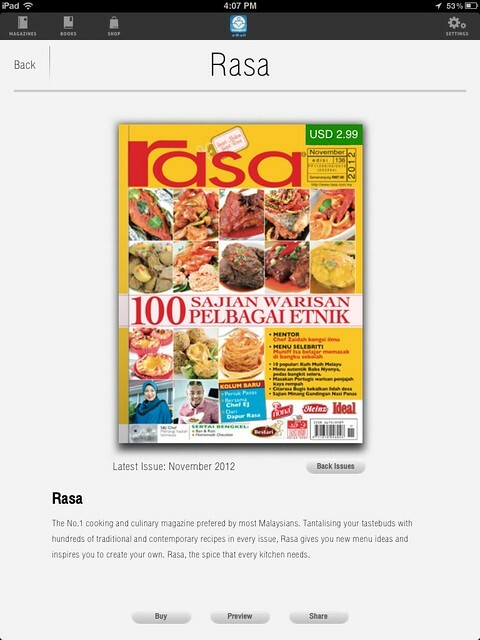 So just for today 16th November 2012, eMall KarangKraf has offered free copy of RASA magazine July 2012 issue! 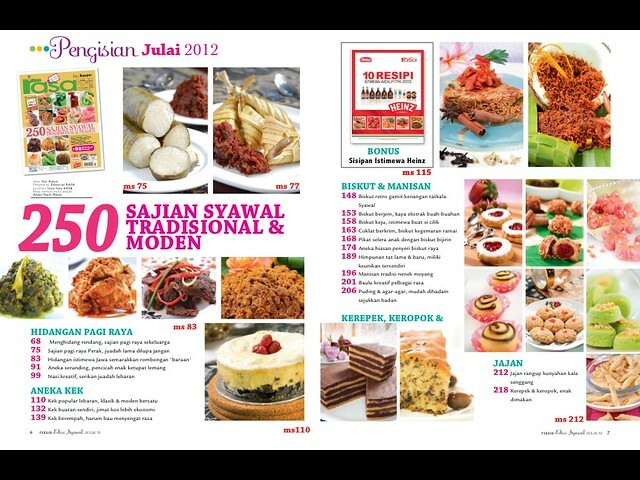 And then choose the July issue, click Free to download it in your library.